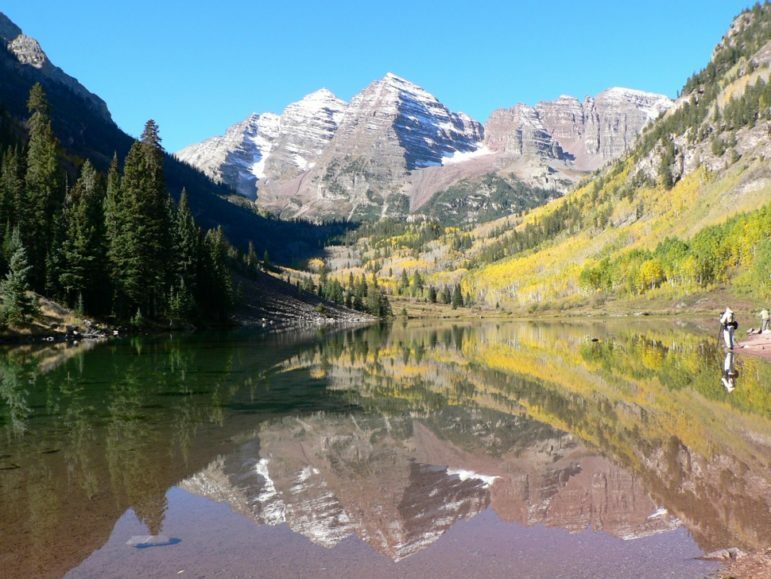 Aspen Journalism is a local, independent, nonprofit journalism organization founded in 2011 and based in Aspen, Colorado. Our mission is to produce excellent journalism, because well-informed citizens make better decisions and journalism is key to a functioning democracy. 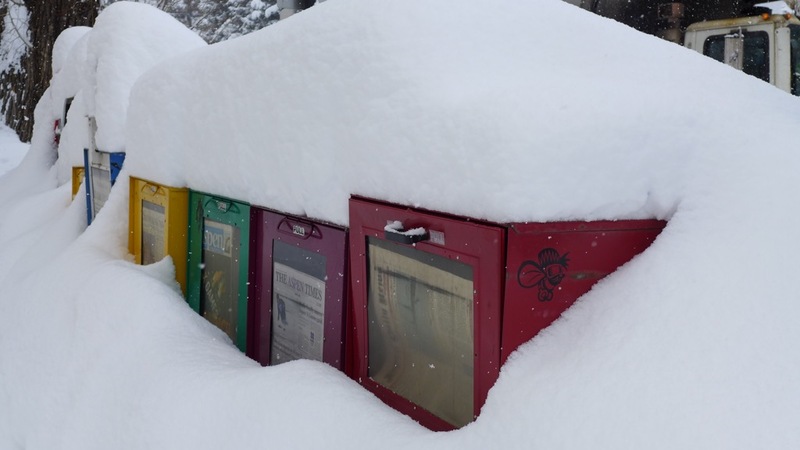 Aspen Journalism takes an investigative approach to beat reporting and does so in collaboration with other local and regional news organizations. 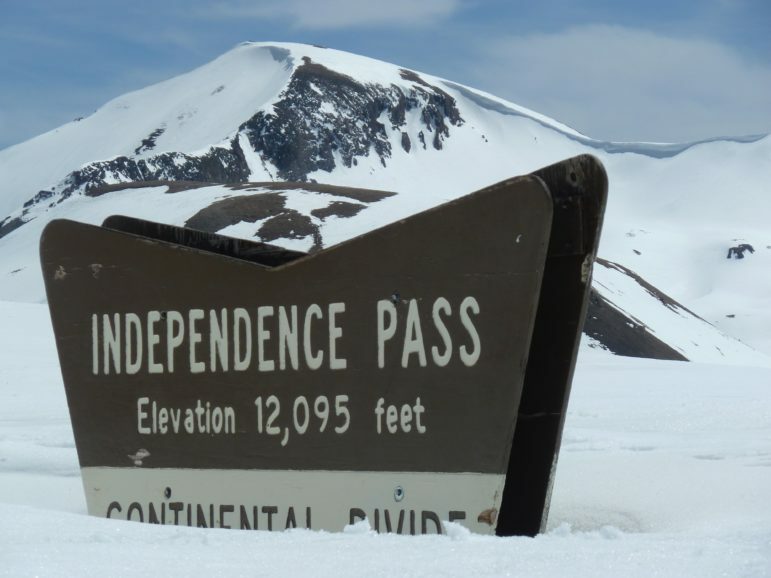 Our coverage area radiates outward from Aspen to Snowmass Village; to Pitkin, Eagle, Garfield and Summit counties; to the Western Slope; to the state of Colorado; and to the West. Since 2011, we’ve covered water, rivers, education, land use, local government, housing, transportation, energy, wealth, real estate, the ski industry and development. Aspen Journalism is a recognized member of the Colorado Press Association and the Institute for Nonprofit News. 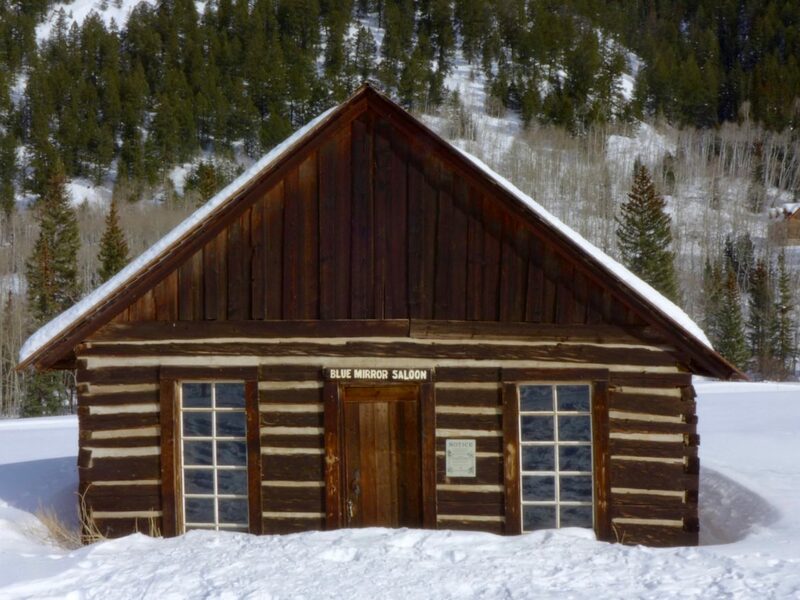 The Benedict Building in Aspen is home to Aspen Journalism. Brent Gardner-Smith is the founder, editor and executive director of Aspen Journalism. 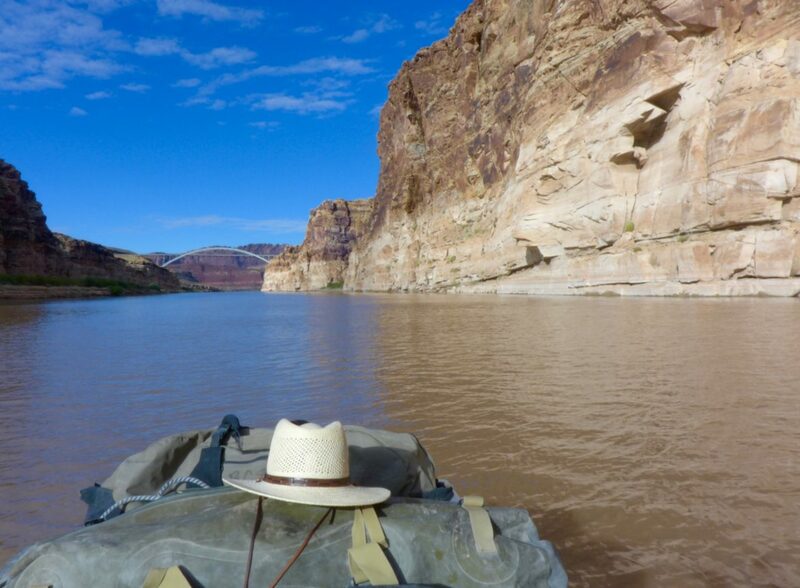 He reports on water and rivers in the Colorado River basin in collaboration with The Aspen Times and other newspapers, including the Glenwood Springs Post Independent, the Vail Daily, the Summit Daily and the Steamboat Pilot. Gardner-Smith has worked as a reporter at The Aspen Times, the Aspen Daily News and KSNO. He has also served as news director at WMVY, executive director at Aspen Public Radio and public-affairs director at Aspen Skiing Co.
His reporting has been recognized by the Colorado Press Association, the Colorado Broadcasters Association and the Society of Professional Journalists. In 2010 Gardner-Smith, interned in the communications department at ProPublica as part of earning his 2011 master’s degree in journalism from the University of Missouri, with an emphasis on the management of nonprofit news organizations. Gardner-Smith first moved to Aspen in 1982. 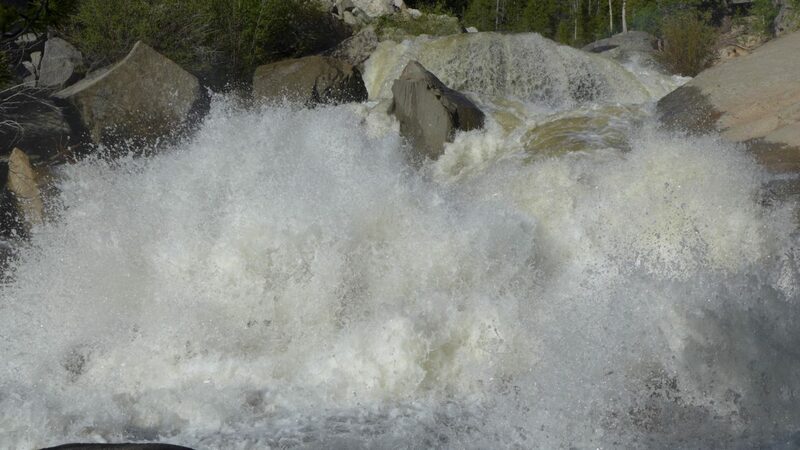 He is a former professional whitewater raft guide with Blazing Paddles on the Roaring Fork, Colorado and Arkansas rivers, and he remains a capable boater, skier and snowboarder. A growing list of highly skilled freelance reporters, editors and photographers have made it possible for Aspen Journalism to produce more than 600 stories and projects since 2011. Our 2019 budget includes $55,000 for freelance reporting. 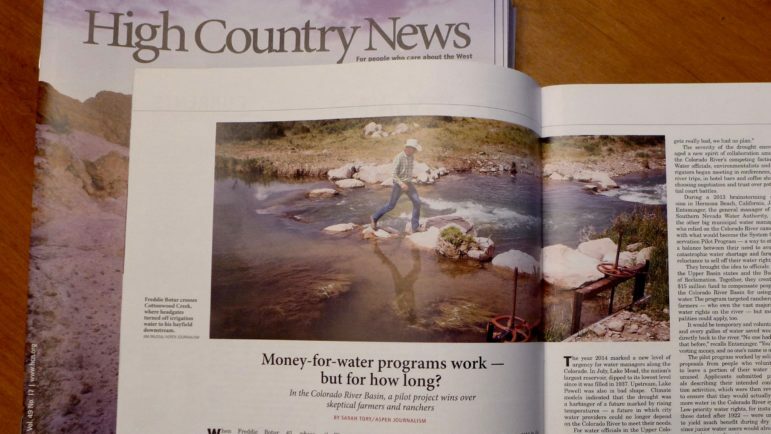 This article by Sarah Tory, writing for Aspen Journalism, appeared in High Country News. Use Aspen Journalism’s work, please! Aspen Journalism’s work is available under a Creative Commons License and under our guidelines. you have to tag our work with an editor’s note, as in “Aspen Journalism is an independent, nonprofit news organization. See aspenjournalism.org for more.” And please include a link to our site. 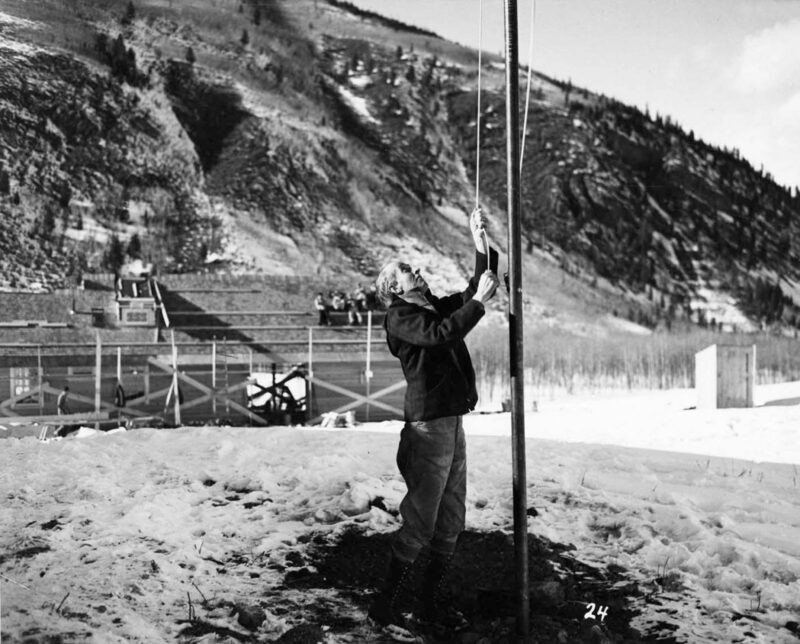 Tom Flynn hoists a flag in front of the Highland Bavarian Lodge in the fall of 1936. 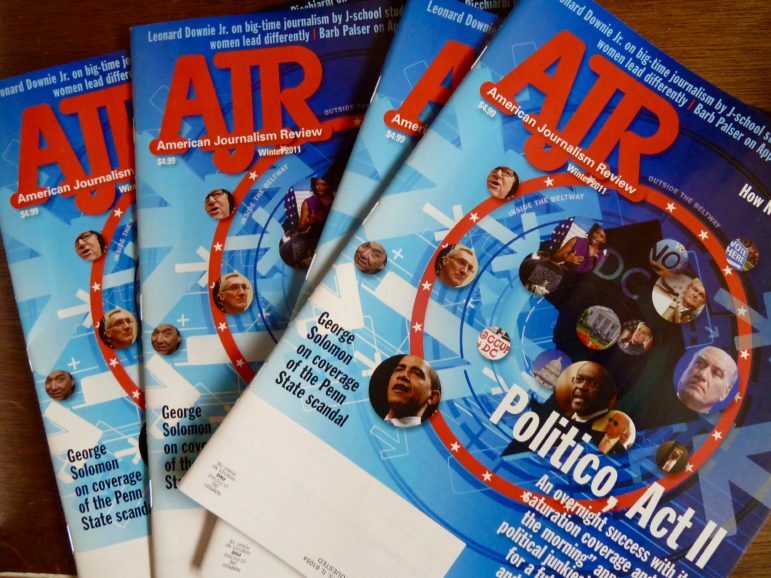 We take journalistic guidance from our journalism advisory board, from the Society of Professional Journalists’ code of ethics, from the Associated Press’ standards and practices, and from The New York Times’ standards and ethics guidelines. We are a member of the Institute for Nonprofit News and the Colorado Press Association. A fine meeting place, in Ashcroft. Curtis is the co-founder of Roaring Fork Sunday and a former editor of the Aspen Daily News. He remains at-large. He’s also the chair of our journalism advisory board. Dave is the former owner of the Aspen Daily News and remains a columnist at the paper. Charlie is the executive director of the Aspen Institute Communications and Society Program and previously was director of the communications law program at UCLA. Laura is the chief content officer at Rocky Mountain PBS in Denver and a former investigative reporter at the Rocky Mountain News. John is the executive director at GrassRoots Community Network. Carolyn is a reporter at The Aspen Times. She has also served as news director at Aspen Public Radio and editor at the Aspen Daily News and the Snowmass Sun. Steve is a columnist at the Aspen Daily News, served as general manager at KDNK and is now guiding KFFR, a public-radio station in Grand County. Mike is a vice president at the public-relations firm BerlinRosen. Previously, he was the sales and marketing director at Civil Beat and the vice president of communications at ProPublica. Momentum, in the upper Roaring Fork River basin. Mark is a rancher, writer, filmmaker and photographer. He is the author of “The NOLS Wilderness Guide” and the producer and director of the documentary “A Land Out of Time.” Mark is the current president of the board of EcoFlight and has served on the boards of High Country News, Aspen Center for Environmental Studies, and Public Counsel of the Rockies. Tim is the executive director of Public Counsel of the Rockies and a professional mediator with Aspen Dispute Resolution. He was co-founder and longtime trustee of Pitkin County Open Space and Trails and co-founder and director of the Manaus Fund. He has served as board president of Aspen Center for Environmental Studies, Wilderness Workshop, Western Resource Advocates, and other conservation and advocacy organizations. Michael is an Aspen-based investment adviser, the former co-publisher of The Aspen Times and a Manaus Fund board member. Harry is the founder and principal designer at Harry Teague Architects. 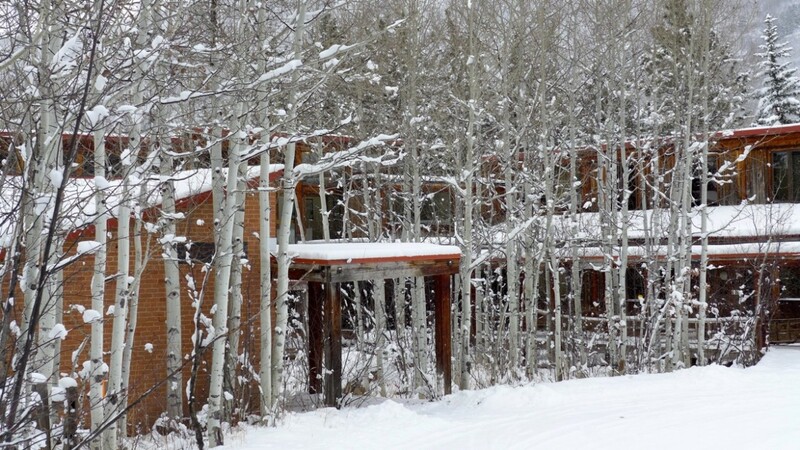 He has lived in the Aspen area since 1972, when he received his master’s degree in architecture from the Yale School of Architecture. Harry’s work, which includes the Benedict Music Tent in Aspen, has been widely recognized and appreciated. Denise, a CPA and partner at Reese Henry and Company, has deep expertise in auditing and accounting services and has vast knowledge of Internal Revenue Service rules for not-for-profit organizations. Since 2011, Denise has overseen preparation of Aspen Journalism’s annual tax filings and provides guidance and oversight on nonprofit and financial matters. Mike is a CPA and a KPMG Peat Marwick alumnus. 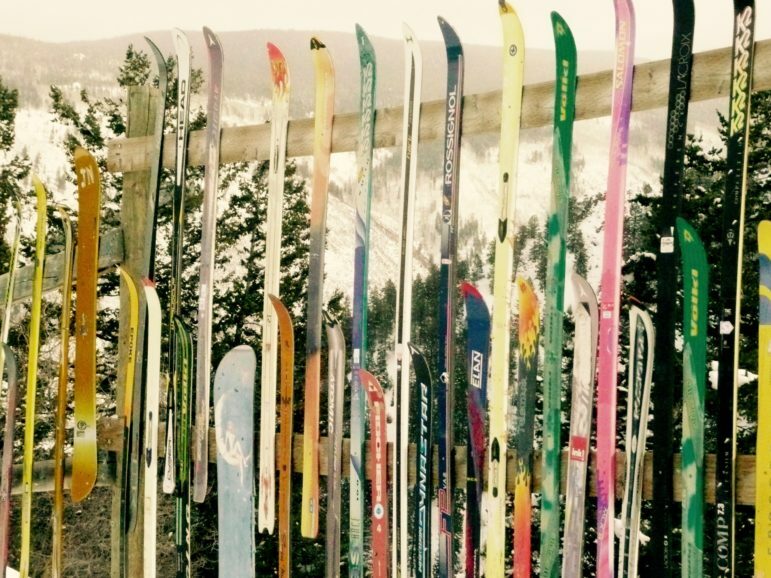 He’s also one of the first Americans to climb and ski down 8,000-meter mountains. Mike prepares Aspen Journalism’s monthly and annual financial statements and provides us with the same level-headed guidance that he does to his climbing partners on the big peaks. Ken is an attorney, investment adviser and CPA specializing in income-tax and estate-tax law for small businesses, individuals and nonprofit organizations. Ken prepared and filed Aspen Journalism’s successful application in 2011 to obtain 501(c)(3) status for Aspen Journalism, and he offers us guidance on nonprofit matters as necessary. Building on innovation and tradition. Aspen Journalism is an independent nonprofit news organization supported by donations from individuals and foundations. Aspen Journalism has been determined by the IRS to be an exempt organization under Section 501(c)(3) of the Internal Revenue Code, and donations are tax-deductible to the full extent allowed by law. Our federal EIN is 35-2400162. In the interest of transparency, Aspen Journalism discloses all donations by name, date and amount. We put our donors into four categories: Citizen Donors, Community Donors, Philanthropic Donors and Foundational Donors. Aspen Journalism is an independent news organization and retains full authority over its editorial content. We are aware of the pitfalls that can arise when a news organization accepts any form of revenue, either in the nonprofit model in the form of donations or in the commercial model in the form of advertising. As such, we diligently maintain a firewall between revenue and the newsroom. Our news judgments are made independently and are not based on or influenced by donors. Our organization accepts donations to support the coverage of particular beats or broad coverage areas, but our organization maintains editorial control of all of the resulting coverage. We cede no right of review or influence of any of our editorial content. We do not accept anonymous donations. We disclose all donations. We list donations in a transparent fashion – by name, date and amount – as soon as we receive them. When we deem it necessary and appropriate (it’s a low bar), we disclose our donors and key stakeholders in our stories or in an editor’s note. Acceptance of financial support does not constitute implied or actual endorsement of donors or their products, services, actions or opinions. We recognize and appreciate that our nonprofit model relies on donations and that all of our donors expect us to retain our independent editorial judgment and scrupulous adherence to journalist standards. So we do. 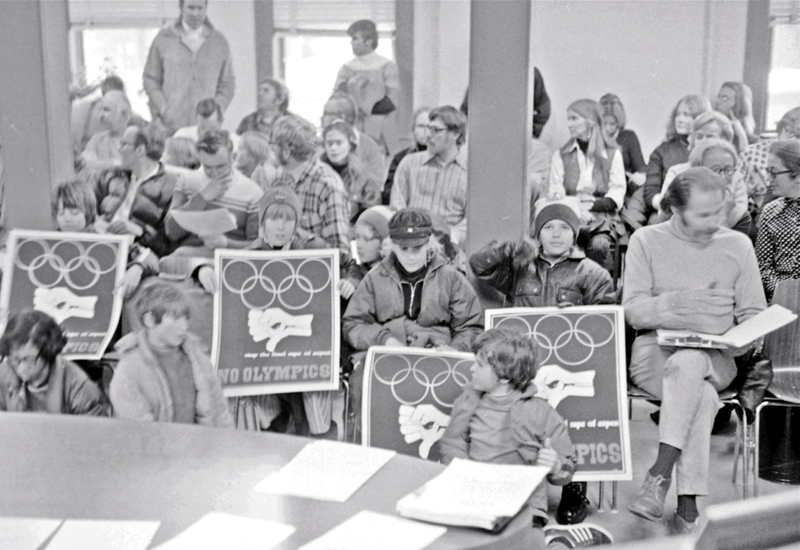 Aspen City Council chambers are packed in January 1972. Aspen Times Editor Bil Dunaway, right, sits in his customary front-row seat. To his right, on the floor, sits a young Mark Harvey, now an Aspen Journalism board member. We take great inspiration from the late Bil Dunaway, the former owner, publisher and editor of The Aspen Times and who took an investigative approach to beat reporting while covering, for decades, the Aspen City Council.